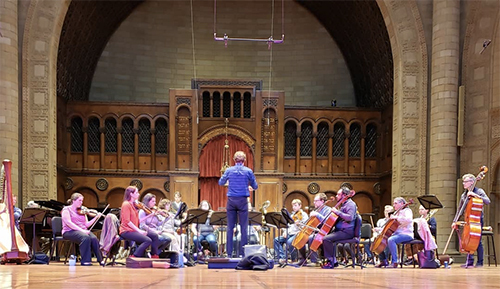 The Cleveland Cello Society’s annual ‘i Cellisti!’ extravaganza always finds creative ways to bring multiple cellos together, but on Friday, January 11 at St. Paul’s Church in Cleveland Heights, CCS outdid itself. 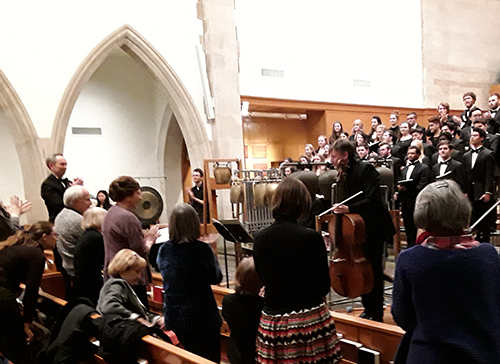 Publicity originally promised a choir of 24 cellos — an impressive gathering — but that number had been upped to 40 last week. 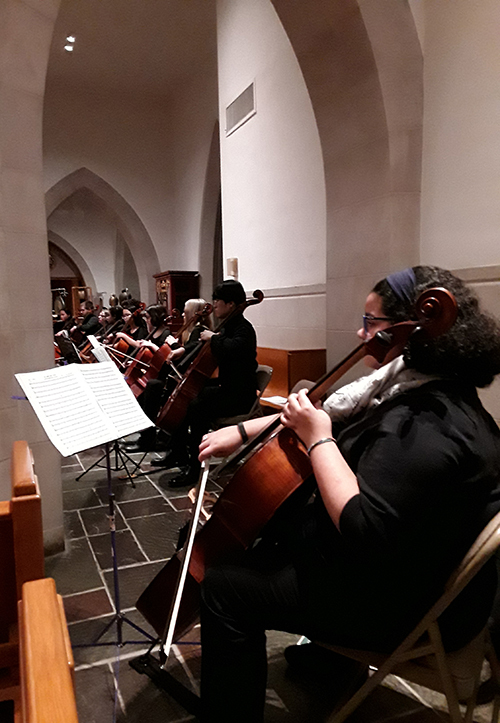 Ultimately, 52 cellists were arranged in a vast circle around the nave of the church at the beginning of the concert, along with the 45 members of the Oberlin College Choir. A critical mass indeed. 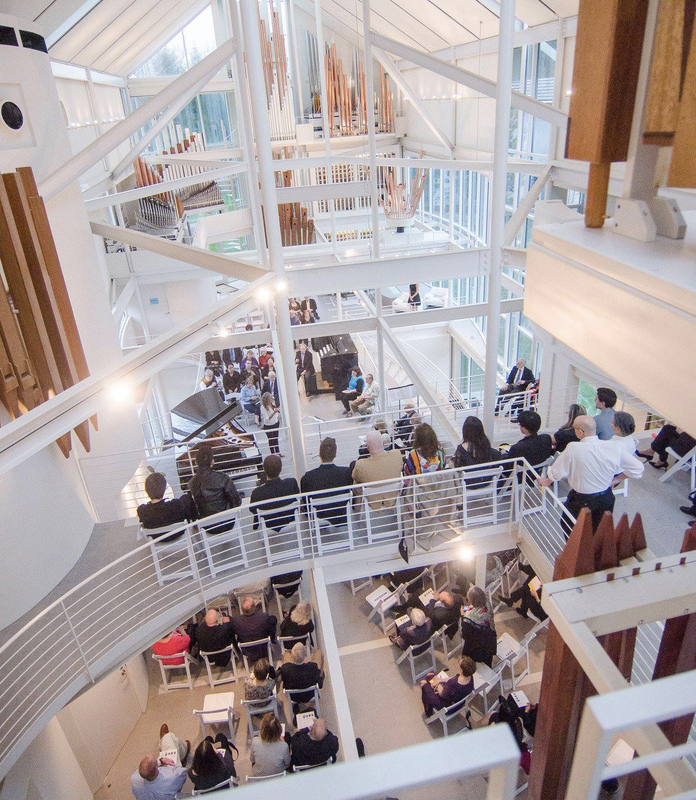 While those forces waited patiently, Studio 207 — a quartet of students of Mark Kosower at the Cleveland Institute of Music — opened the evening with the charming Glass Bamboo Frog Consort by Venezuelan composer Paul Desenne. Named for a species of rainforest frog, the eight-minute piece has been described as hauntingly close to the sounds those amphibians make in the wild. In the hands of Daniel Kaler, Eleanor Lee, Richard Li, and Mingyao Zhao, its undulating textures were hypnotic, even when things became more lively, then tapered off into nothingness at the end. John Luther Adams is famous for his often prolix evocations of nature. His Sky with Four Suns and Sky with Four Moons, representing in music the curious Alaskan illusion of multiple lights in the sky seen through ice crystals, are relatively brief but no less striking. 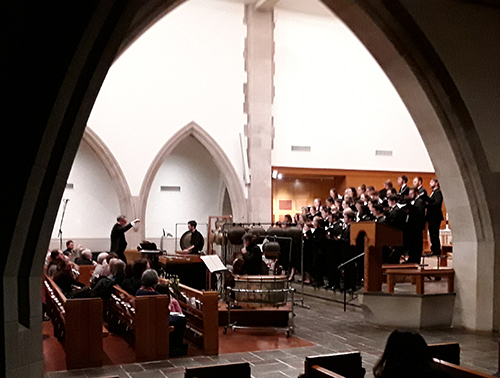 Oberlin choral professor Gregory Ristow led a mesmerizing performance, cuing his forces from the center aisle with a set of special gestures that included patting himself on the head. Sun and moon used different registers of the four cello choirs, the moon sounds deeper in timbre. 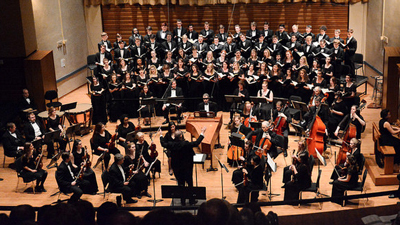 Singers and cellists combined for an arrangement of Randall Thompson’s famous Alleluia, originally commissioned by Serge Koussevitzky for the opening of the Berkshire Music Festival at Tanglewood in 1940. 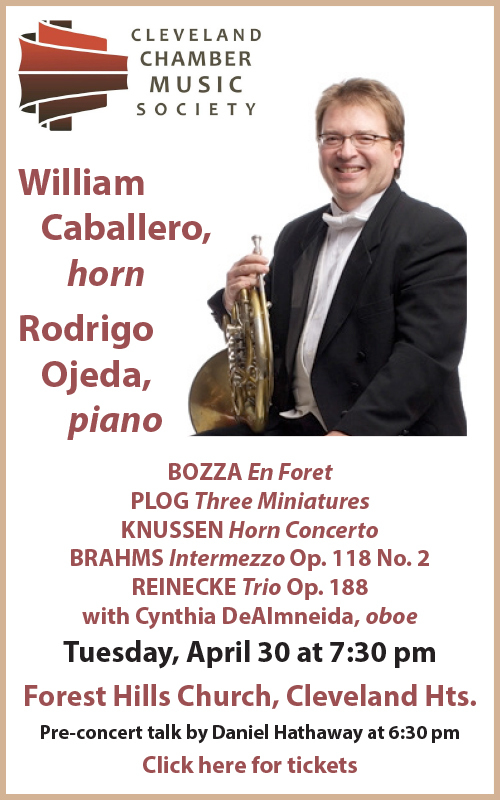 The conductor ordered up a piece that could be sung by the fellows — mostly instrumentalists — after a brief rehearsal, and, because of language issues, would have only a bit of text to deal with. Thompson complied, using only “Alleluia” and “Amen,” and calling the piece “a sad fanfare for the fall of France,” which had been overrun by the Nazis while he was writing it. 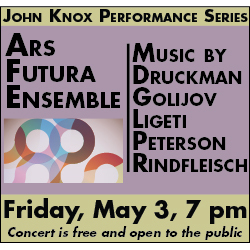 The arrangement worked well, even if Thompson’s carefully structured dynamics weren’t always realized, and although the wide dispersal of the performers created a few ensemble challenges. The spirit of the performance was lovely, and the sonic effect glorious. 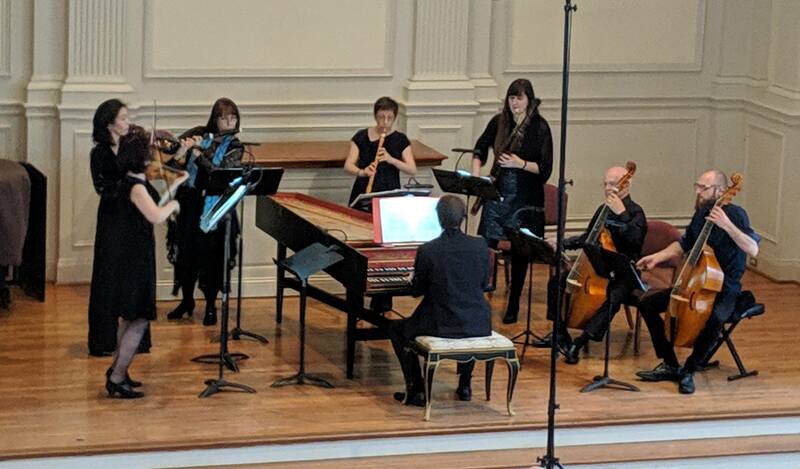 After a break, Ristow led cellist Darrett Adkins, the Oberlin Choir, percussionists Randall Chaves Camacho and Liam Smith, and celeste player Janet Wu in Sofia Gubaidulina’s wildly ecstatic Canticle of the Sun, using the original Umbrian dialect text attributed to Francis of Assisi. As the singers chanted the glories of the Most High as manifested in creation (sun, moon, stars, wind, air, water, fire, fruits, flowers, herbs) as well as in life and death, Adkins played swooping phrases and intense solo recitatives on the cello, and made interjections on bass drum and flexatone, sometimes moving about the stage. 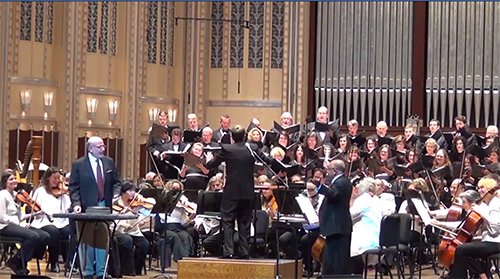 Published on ClevelandClassical.com January 14, 2019.